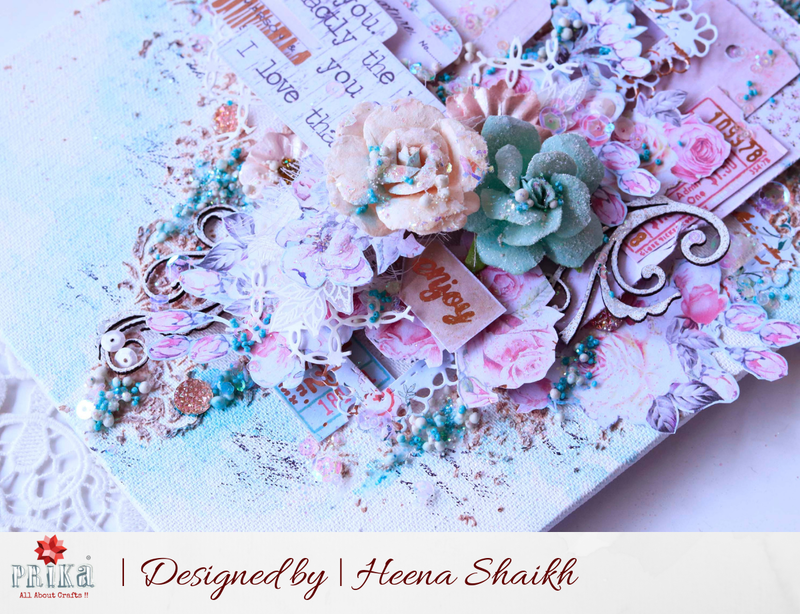 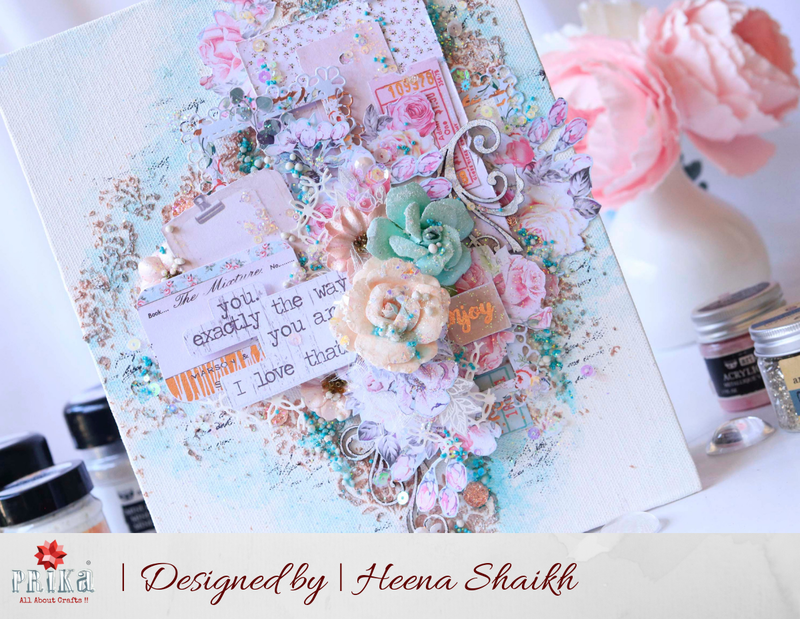 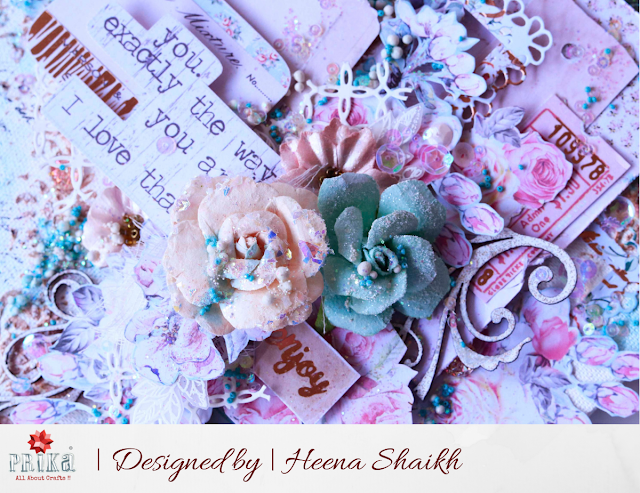 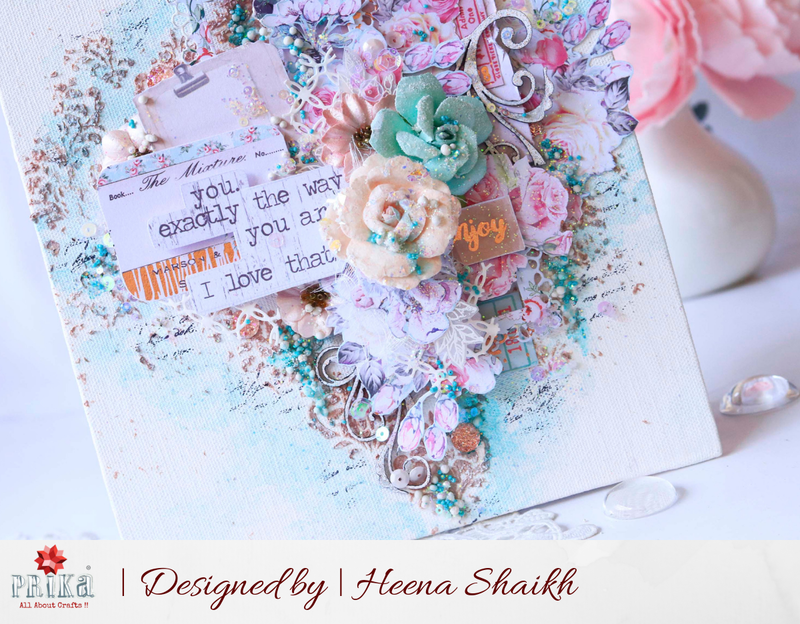 Heena here from bloomingpaperbuds.com, back again on Prika's Blog with and Friday Craft Inspiration for you all to sit back and enjoy. 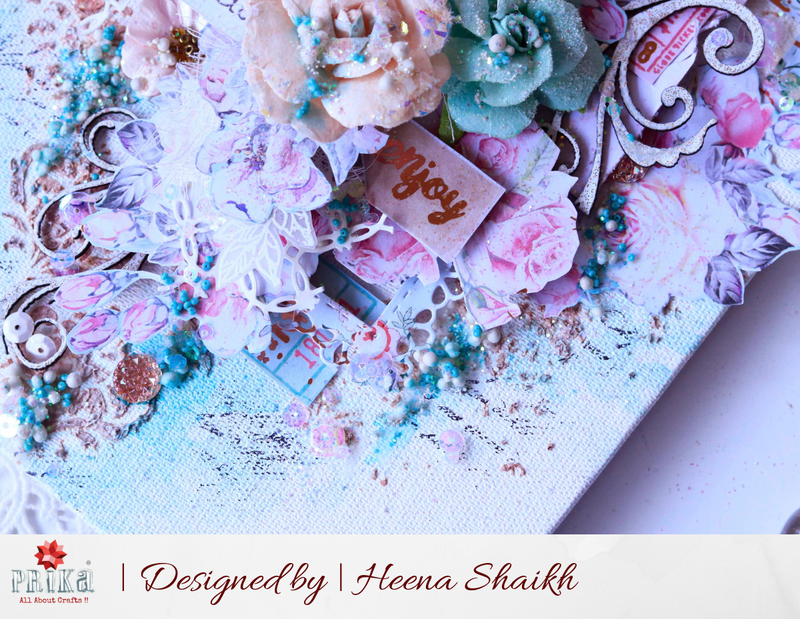 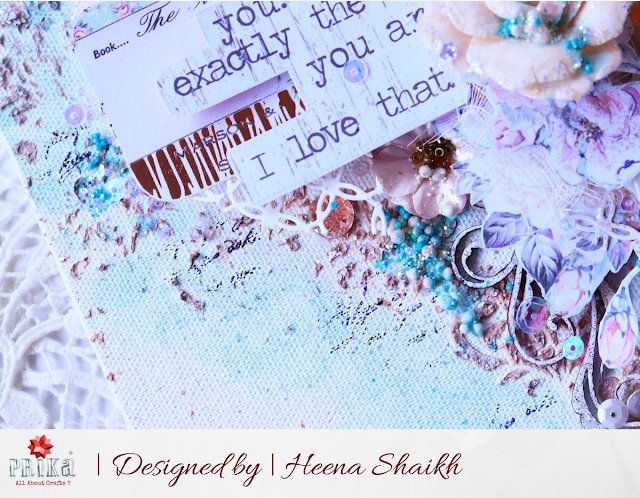 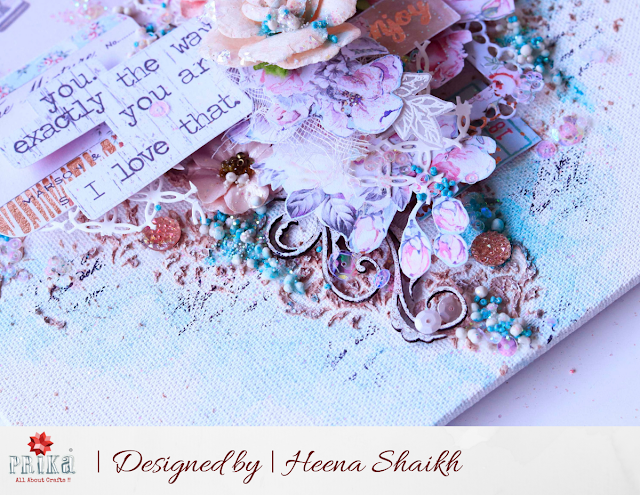 Today I will be sharing a soft dreamy mixed media canvas with you all. 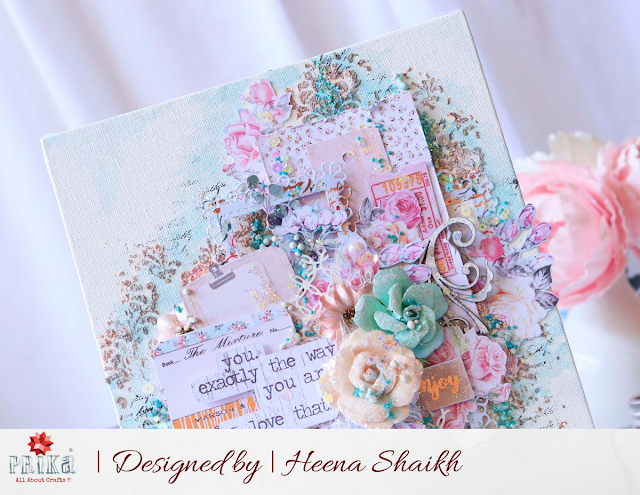 For this Project, I have used Pattern papers and flowers from the Prima Havana collection. 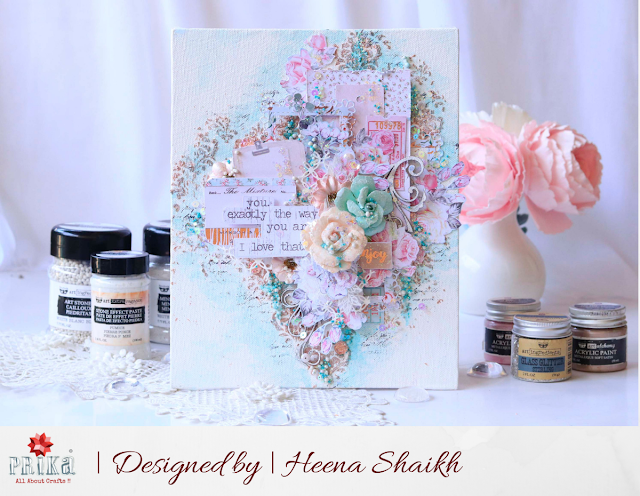 I have also used several art mediums from Finnabair. Hope you liked my creation, Thank you for stopping by! "New Beginnings" Handmade Card by Prika!! 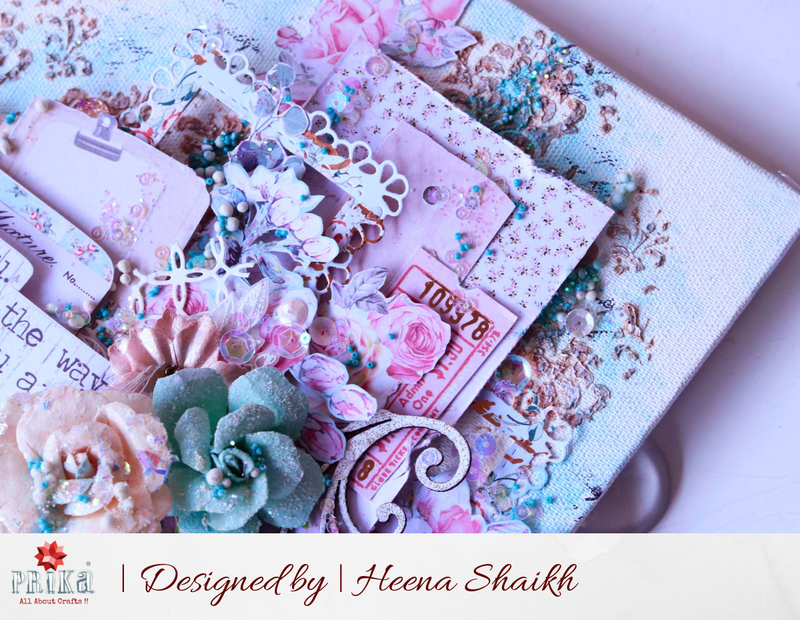 Craft Enthusiast: "Nidhi Modi Sethia"